We are in the field of training of youthful youngsters for as long as 18 years. Our witticism is BUILDING HEALTHY MINDS. With the Goal to give an empowering situation that enables understudies to accomplish their maximum capacity by advancing a training with the qualities under specified. Respectability: in the majority of our activities being straightforward, reasonable, mindful and steadfast. Regard: by treating others and nature with care, thought and respect. Obligation: by being responsible for one's own particular activities and learning. Greatness: in endeavoring to accomplish one's close to home best in all that they do and affirmation of such. Having these qualities to be supported in the group, Budding Minds began its trip as Playschool in the year 2004. Towards brilliance in the areana of tyke advancement, ventured up to have pre-primaries alone with Pre-essential 1 (PP-1) and Pre-essential 2 (PP2). 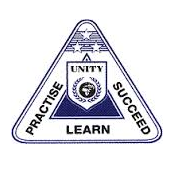 Bit by bit developed into Budding Minds International School in 2010 opening its wings to upper evaluations. Presently works 4 isolate schools. 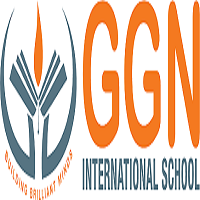 Global school – Has classes till review 8, with 280 understudies cooking from ages 2½ or more with staff more than 35. We keep including the evaluations consistently. Play school – Radhanagar – Play assemble and Preschool – With kids around 85 in number and staff more than 12. Play school Franchise at Bashyam nagar – Play aggregate and preschool – with youngsters around 45 in number and staff more than 9. Play school at Manimangalam – Play aggregate and preschool – Opened new for youngsters around Manimangalam and Tambaram. Admissions are open for class PreKG from Nov 19, 2018Â for the academic year 2019-20. Kindly do the registration at the school desk in the month of Nov, 2016 for admissions to the next academic year 2017-18. Only after the registration is completed the application forms will be issued.